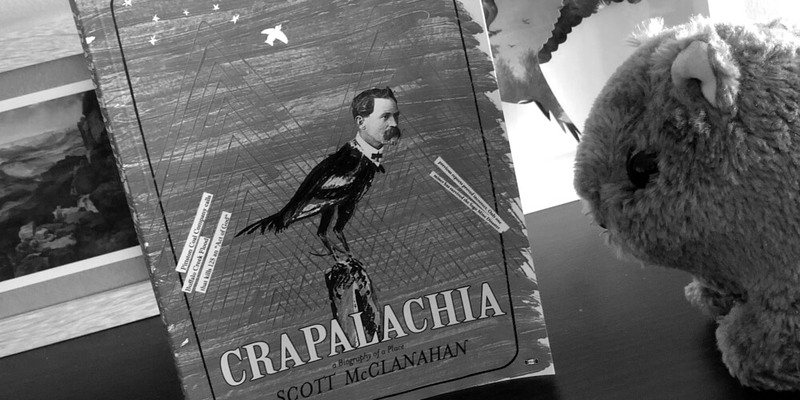 The author of Crapalachia, Scott McClanahan, likewise is what he is, but what he is somewhat more difficult to ascertain. He was born in West Virginia and he lives there now – this we know for sure – but his connection to the land is difficult to triangulate. Perhaps this is because he writes of the land – the mountains, in particular – with an awe that drips (somewhat) with resignation. He writes of how his childhood friend Bill tried to teach him and his friends about the mountains that surrounded them – their names and elevations – but not a one of them cared to learn about where they were from. He writes of coming to regret this in adulthood, but the resulting interest seems to have come on a little too late. McClanahan seems to wish either that West Virginia were some other place, or that his own accident of geography and economics had rendered him from some other place. Either way, there is a meaningful disconnect between what he is and what he wishes he was that seeps into this novel / memoir / journal. The feelings are real, and the prose that conveys those feelings is capable – in momentary heights – of breaking your heart (“I told her I was putting blankets in the trees for our children, so that no matter where they went – they would always be home.”), but the target is unclear. In this way it sometimes reads like a love letter to a girlfriend he can’t quite remember, or who maybe never existed, or who maybe he never really loved. None of this is problematic in a general way, of course. There is no right or wrong way to skin this particular cat. I wanted to like Crapalachia and I largely did. Stylistically it is memoir in the way that Frederick Exley’s A Fan’s Notes – one of my favorite books – is memoir. That is: it’s so exaggerated and fictionalized that it’s really closer to being a novel. Exley never shied from that fact (he declares the fictions at the outset) and neither does McClanahan (who uses an afterword to roll out an itemized list of the liberties he took). Were Crapalachia not about the place that geography and economics destined my soul to be forever linked to, I likely would love it without reservation. But it is, and so reservations have manifested. Writing about your home is a tricky proposition. The many ways in which such an endeavor is fraught with peril have long made me reticent to write of West Virginia in any general way. I’ve always kept it personal, hoping that leaning explicitly and overtly on my own, very personal experience would render my depictions of the state unassailable by those who don’t share my perceptions. The love-it-or-hate-it nature of the commentary around Crapalachia would seem to suggest that my fears are justified. So it was that I cracked the spine3 on Crapalachia under the influence of high expectations of authenticity… and the touchiness about my home state that is the birthright of all West Virginians. Both were ultimately activated. The impression that I get from McClanahan (from this book as well as a few interviews with and depictions of him) is that he wanted to deliver an authentic tale of life in Appalachia. This much is apparent from the aforementioned list of liberties that he took with the truth; the reconciling with the factual people and stories that were woven into the tale of this book. In many cases this list is apologetic. McClanahan states that the stories which ultimately became Crapalachia went through many forms. He stops short of saying that all of this reworking involved so many turns that he lost track of his destination. Ultimately, McClanahan might have wanted to deliver an authentic Appalachian story – perhaps even for the same reasons that Breece Pancake wanted to – but that disconnect between McClanahan and the land seems to have prevented him from doing so. The story isn’t inauthentic, exactly, but it is peopled with amalgamations of real people who are rendered unbelievable by said amalgamation. All of these isolated themes ring painfully true – the obsession with death, the difference in perception of farmers vs. miners, the desire to escape, the bone-deep boredom – but they’re authentic in the way The Simpsons is authentic. Sure, it’s made for socially-conscious adults, but it’s still a cartoon. The danger, of course, is that Crapalachia4 is seen by ‘outsiders’ as being essentially authentic. These are the non-natives who sing Take Me Home, Country Roads at karaoke and never consider the tragedy that finds the narrator of the song loving a place so much and yet ostensibly living elsewhere. The authentic West Virginia is – among many, many other things – one where ‘Big Coal’ has taken advantage of a work force – of a people – for so long that those same people now believe not only that it’s the only work they deserve, but also that it’s the only work they want. The fact that one’s view of this phenomenon as inherently good or bad is measured on a wide spectrum underscores why it is difficult to write about West Virginia in a way that won’t offend somebody. You’ll note that I’m leaving my position on the matter as deliberately vague. The fear is real. McClanahan has seen these same things. Indeed, he grew up in the thick of it whereas I grew up on the fringe of it. He shares similar thoughts in Crapalachia but he is careful about where to point his finger when doling out blame. He appears to share my fear. Unfortunately, this leaves the reader to fill in the logical blanks and it is his characters who end up copping the blame. For instance, the line “…only poor people are desperate enough to work in a hole and then thank [G]od that they have a job working in a hole” presents a chicken and egg dilemma – which came first: the mining company or the poor/desperate person? – without positing an answer. The troubles of West Virginia are thus presented by McClanahan as being natural; perhaps God-given. That he might be right is neither here nor there – the danger is that the decision is delegated not to West Virginians exclusively (I can say this from experience: West Virginians rightfully believe that they are the best judges and defenders of their own misery), but to everybody. Once again, the state has been left to the mercy of outsiders and if history has taught us West Virginians anything, it is that this mercy will not be forthcoming.